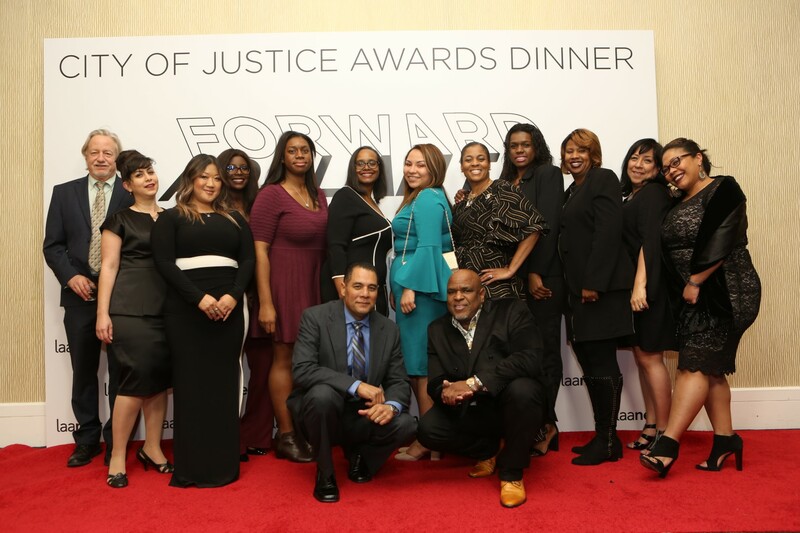 On Thursday, December 6, close to 1,000 people, including labor, environmental, entertainment, political, and business leaders, attended the 2018 City of Justice Awards Dinner and celebrated 25 years of victories for good jobs, thriving communities, and a healthy environment. THANK YOU to honorees Bush Gottlieb, Jennifer Levin & John Eisendrath, David Nahai, and Diane Ravitch, and to all the supporters that contributed to a powerful, memorable evening. 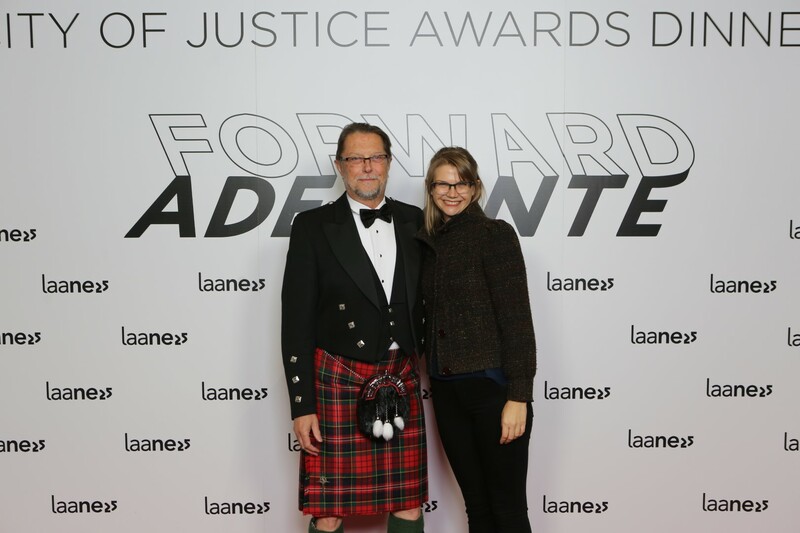 Your support ensures that LAANE can continue our work of taking on the two toughest challenges of our time — economic inequality and climate change — and winning. In 1970, young lawyers active in the student civil rights and anti-war movements gathered in makeshift offices on Bonnie Brae Street in downtown Los Angeles, determined to dedicate their practice of law to advance the cause of working people. Through the ensuing decades, the firm’s expertise and emphasis have evolved with the needs of its union, trust fund and individual clients, but Bush Gottlieb remains true to its original purpose of supporting progressive social movements and causes wherever lawyers can be of service — in the courtroom, the boardroom, the legislative halls of Los Angeles, Sacramento and Washington, D.C., from the rural reaches of Fresno, to the streets of Los Angeles. During the course of the firm’s history, it has represented unions bargaining for aerospace workers throughout Southern California, airline employees throughout the country, supermarket employees, utility workers, teachers, custodians, cafeteria workers and bus drivers in the LAUSD, and actors, directors, technicians and below the line workers in the entertainment industry. The firm established a signature bankruptcy practice representing unions whose members’ fundamental interests are threatened by employers’ insolvency, developing a unique practice of obtaining security interests in employer film assets to enforce payment of residuals to directors, performers and writers. The firm represented the Justice for Janitors organizing campaign in police brutality litigation against the LAPD, successfully fought to eliminate unfair weight restrictions for flight attendants, and fought back against the anti-union plague insidiously known as “Right to Work”, achieving an important win in the United States Supreme Court. In the last decade, the firm has expanded its representation of trust funds: counseling and litigating on behalf of pension and health plans. It has launched a program of representation of Los Angeles and Long Beach port truck drivers and others misclassified as “independent contractors,” has assisted the Teamsters in organizing and representing them, and has fought for farmworker victims of wage theft. It represents Guild interests in bankruptcy courts across the nation. And in defiance of today’s existential attacks on public sector unions, the firm is fully engaged in the battles to enhance the strength of educators’ and other public employee unions. 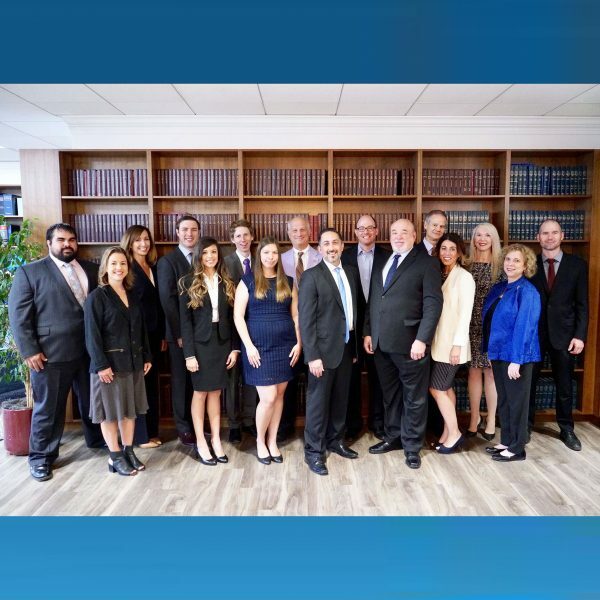 Looking forward, the firm welcomes a new generation of idealistic and diverse attorneys who bring zeal, energy and well-honed knowledge and skills to meet the challenges of the Trump era and beyond. 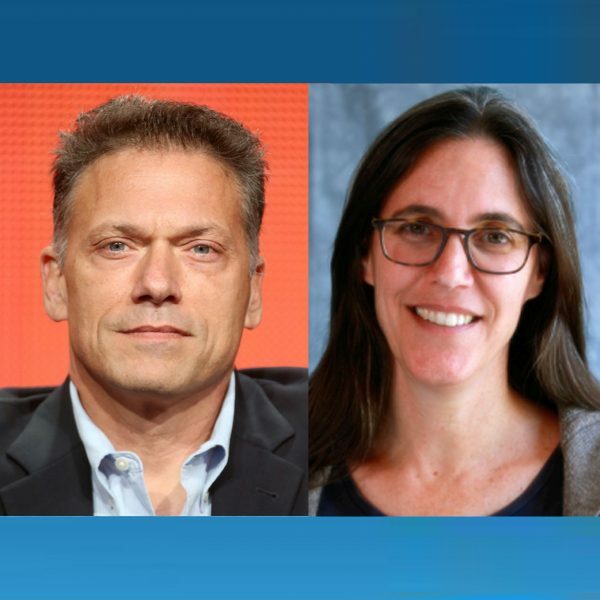 Jennifer Levin and John Eisendrath are prolific writers, producers and outspoken progressive activists. John is currently Executive Producer of The Blacklist, a thriller on NBC starring James Spader. He began his career as a journalist before writing and producing for television. John has additionally been Executive Producer on Outlaw, Playmakers, Alias, Felicity (alongside Jennifer), My Own Worst Enemy, Malibu Shores and Beverly Hills, 90210. Since 2016, Jennifer has led the charge for voter engagement, progressive values and electing women to office by hosting events and curating a weekly action items email that has grown to include several hundred followers and spearheaded action across the county. She has served as Executive Producer on Beauty and the Beast, Unforgettable, Brothers and Sisters, Without a Trace and Felicity. 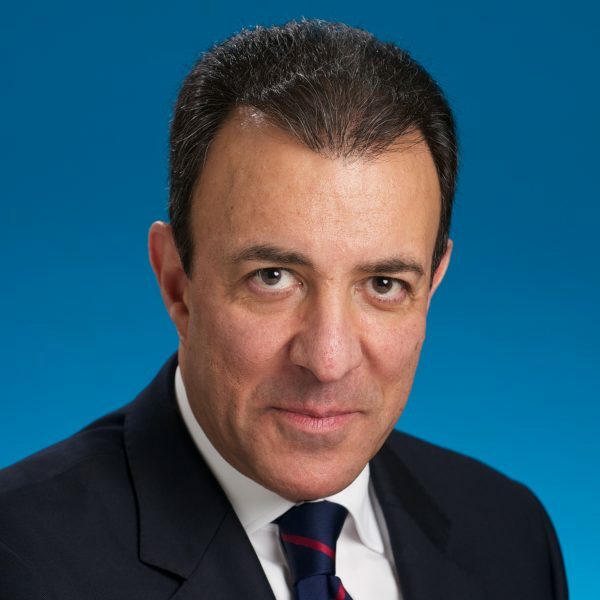 David Nahai has an extensive record of success in both the private and public sectors, as a lawyer, CEO, government official, business owner, labor advocate, environmentalist, investor, and author. He is a recognized expert in real estate, water, energy and environmental matters. Nahai is the former General Manager and Commission President of the Los Angeles Department of Water and Power (LADWP), former Chairman of the Los Angeles Regional Water Quality Control Board, and former Senior Advisor to the Clinton Climate Initiative. Currently, Nahai is a Partner at the Lewis Brisbois law firm, the President of David Nahai Consulting Services and a Managing Partner at AQORA Capital Company. 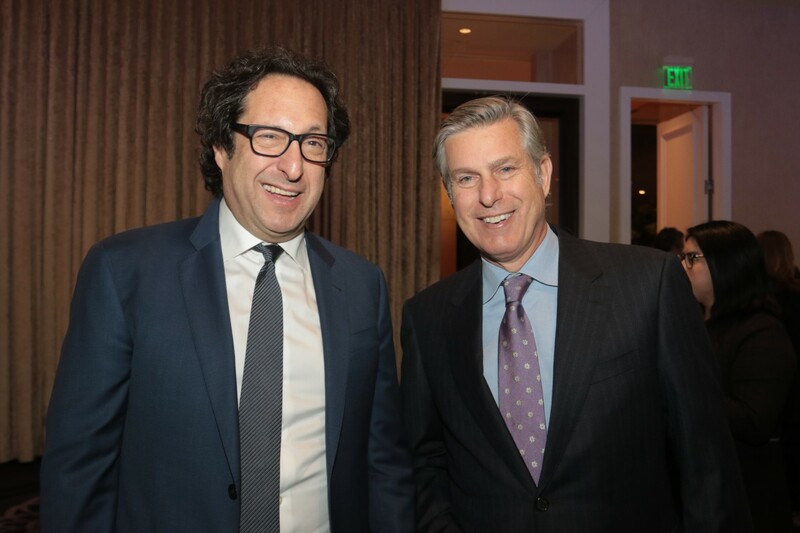 Prior to his return to the private sector, Nahai served as the General Manager of the Los Angeles Department of Water and Power (LADWP), the largest municipal utility in the United States. Nahai led an overall transformation of LADWP that included the unprecedented expansion of the utility’s renewable energy portfolio; the origination of the City’s Water Supply Plan; the attainment of historic reductions in water consumption in the City; and the launch and implementation of water and power infrastructure improvement programs. Nahai served for over 10 years on California’s Regional Water Quality Control Board, which safeguards the quality of surface, ground, and coastal waters in Los Angeles and Ventura counties, an area with over 11 million residents. At the Water Quality Board, Nahai served with three different Governors and had four terms as Chairman. Recently, Nahai’s new book “Commercial Real Estate Purchase and Sale Agreements in California- a Beginner’s Guide” was published by Thompson-Reuters. In addition, Nahai co-authored “Inside the Minds; Strategies for Green Real Estate Law”, also published by Thompson-Reuters. 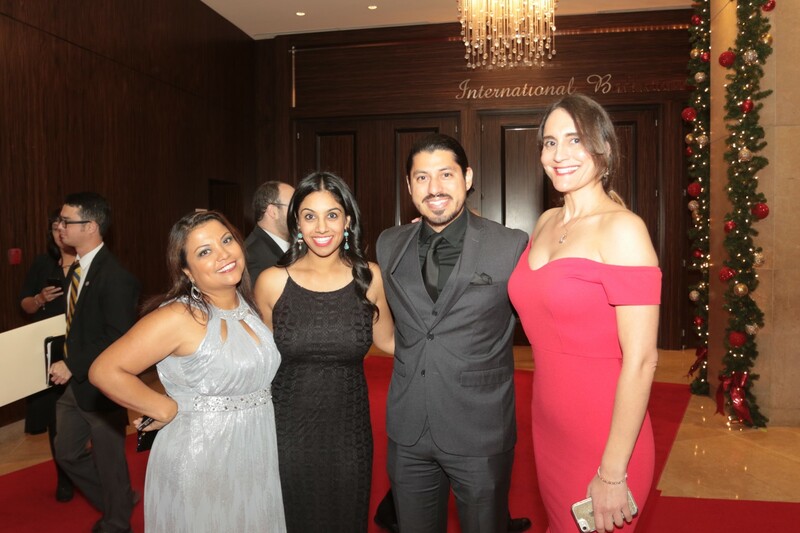 This year, Nahai was featured in the film “Beyond the Brink”, a documentary on the water situation in California. 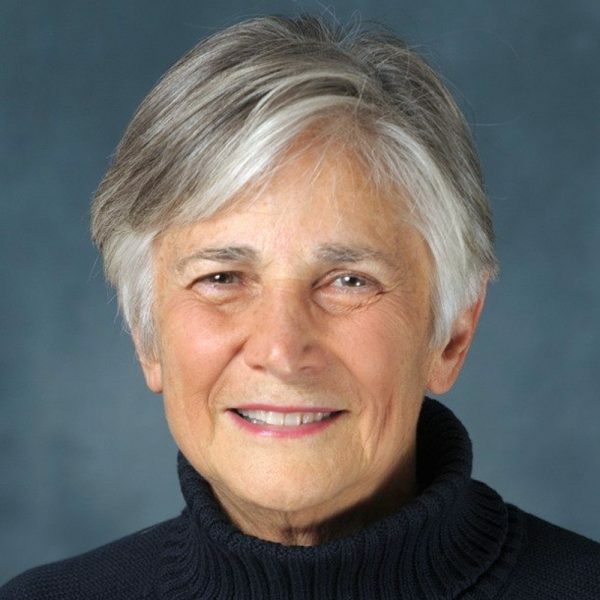 Diane Ravitch, Founder and President of the Network for Public Education (NPE), is a renowned Research Professor of Education at New York University with a profound knowledge of the both the historical and contemporary facets of the American education system. Ravitch recognizes the important junctures of the education system, explaining, “Teachers’ working conditions are students’ learning conditions.” Her intersectional approach to improving the education system reflects a commitment to all marginalized groups, frequently highlighting in her body of work the role educational institutions play in either preventing or providing economic equality and access to equal opportunity. Ravitch began her career as an Adjunct Assistant Professor at the Teachers College, Columbia University. She would earn her spot as Professor by 1991, all the while holding impressive positions in the federal government. Ravitch first served as the Assistant Secretary of Education and Counselor to Secretary of Education Lamar Alexander from 1991 to 1993 during the administration of President George H.W. Bush. While working in the U.S Department of Education, Ravitch can be credited with the creation of the Office of Education Research and Improvement. 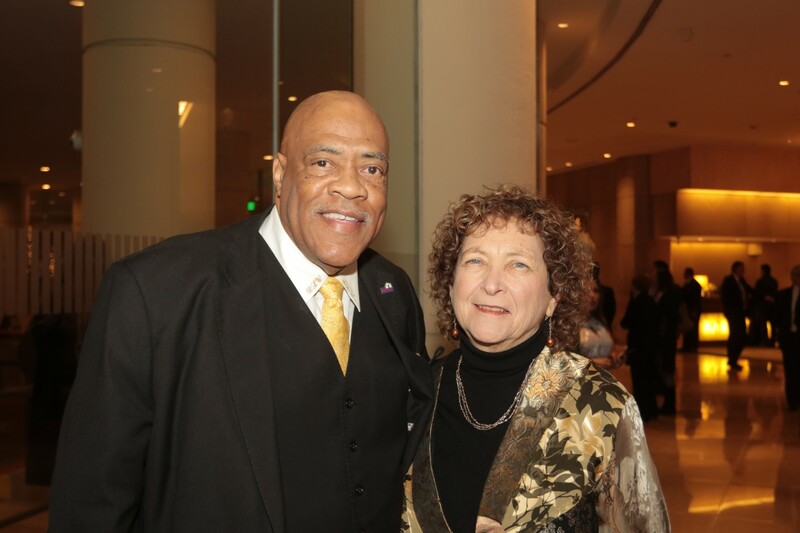 She continued her commitment to improving education standards as a member of the National Assessment Governing Board, which oversees the federal testing program (National Assessment of Educational Progress), serving terms in 1997 and 2001. Additionally, Ravitch held the Brown Chair in Education Studies at the Brookings Institution, editing Brookings Papers on Education Policy. Ravitch has acquired dozens of awards as well as honorary degrees in commemoration of her expertise and commitment to improving the education system. Her depth of knowledge is also evidenced by the authorship of 11 books and over 500 scholarly and popular publications on the topic. Her work is recognized globally as she lectures on an international scale, many of her publications have been translated into numerous other languages. Ravitch lives in NYC with her partner Mary Butz, she is a mother to two children and grandmother to four. The daughter of Jamaican parents, Robinne Lee was born and raised in Westchester County, New York. A graduate of Yale University and Columbia Law School, Robinne has spent the past several years acting, writing, and producing. Robinne co-produced and starred in the romantic comedy “Miss Dial,” and the independent film “This Is Not a Test” for which she won the Boston Film Festival’s Best Actor award. Her past television appearances include recurring roles on “Being Mary Jane,” and “Tyler Perry’s House of Payne.” Recently she starred opposite Mario Van Peebles in the SyFy supernatural series “Superstition.” This December, Robinne can be seen in BET’s A Christmas Carol tribute, “Holly Day,” playing the titular role of Holly. An inactive member of the New York Bar, Robinne regularly contributes to panels addressing the roles of women and actors of color in the industry. Additionally, she has spoken at numerous literary events nationwide. An avid runner and an aspiring ballerina, she lives in Los Angeles with her husband and two children. From LAX/South: Take Century Boulevard to 405 North. Take 405 North to Santa Monica Blvd. East exit. Go east on Santa Monica Blvd. approximately 2 miles. Hotel will be on the left side (just before Wilshire Blvd). From North: Take 405 South to Santa Monica Blvd. East exit. Go east on Santa Monica Blvd. approximately 2 miles. Hotel will be on the left side (just before Wilshire Blvd). From East: Take 10 West. Take Exit 6 for Robertson Blvd. Turn right onto S. Robertson Blvd. Turn left on Wilshire Blvd. Turn left onto N. Santa Monica Blvd. Hotel will be on the right side. From West: Take 10 East to 405 North. Take Santa Monica Blvd. East exit. Go east on Santa Monica Blvd. approximately 2 miles. Hotel will be on the left side (just before Wilshire Blvd). Please allow 20 minutes for parking and registration. How do I get my ticket/table number? The registration table will be located in the lobby of the Beverly Hilton Hotel, just inside the front doors by the valet circle. Please check in under your last name at the registration table to receive your ticket/table number. Please allow 20 minutes for valet and check-in. What if I need to send someone in my place? Please have the substitute guest check in under the original ticket holder’s name. What if I need to purchase another ticket? Please do so before the RSVP deadline on November 16 by visiting our payment page. How do I order a vegan/vegetarian meal? Just let your waiter know that you would like a vegan/vegetarian meal. What time does the Dinner program conclude? The program will wrap up by 9:30 pm.